Headed over to Santa Clara University for the Cable Car Classic. 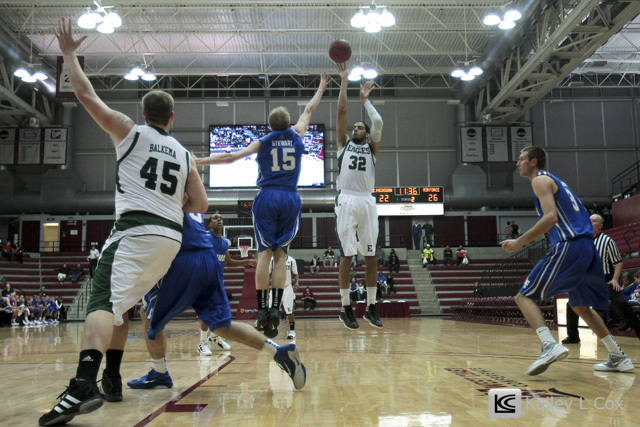 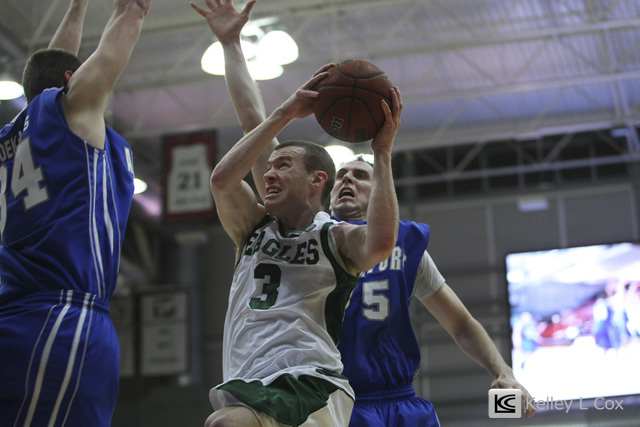 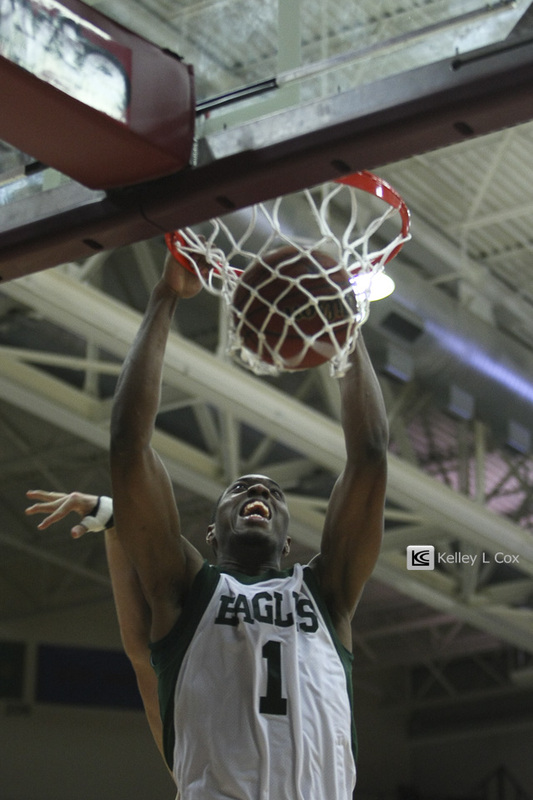 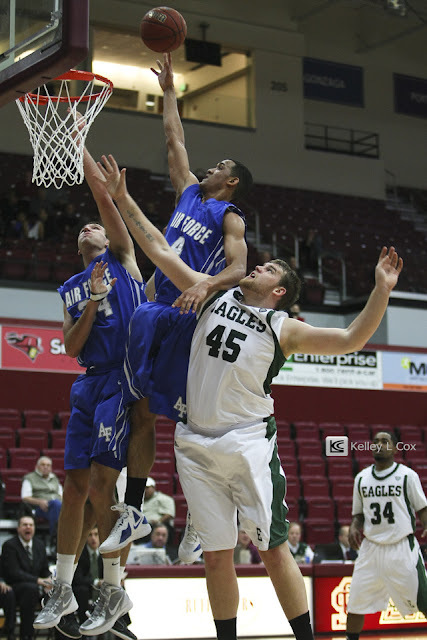 The first game was the consolation matchup between the Air Force Falcons and Eastern Michigan Eagles. 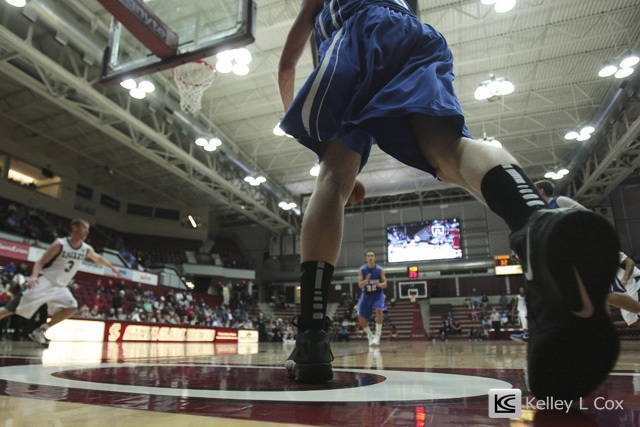 Since my last game at the Leavey Center, Santa Clara has added a nice 25' x13.5' new videoboard making it's debut in the background of my photos. 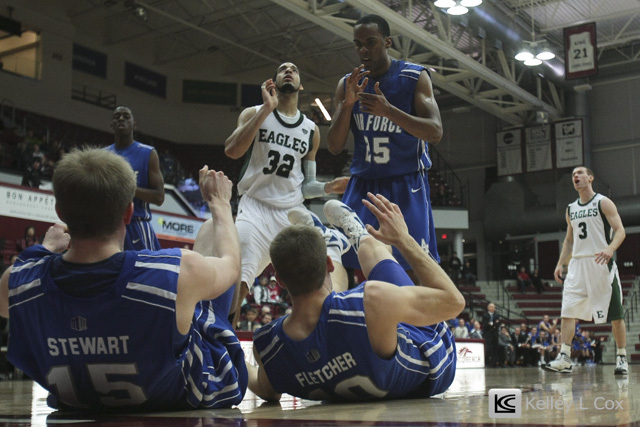 After a neck and neck game, Air Force pulled away with a 42-37 win over Eastern Michigan.